But it’s a limit the world-class Kallaroo athlete continues to push. 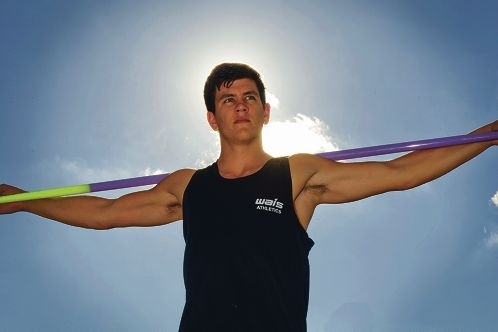 With a personal best throw of 73.27m, Cruz is ranked fourth in the world for the International Association of Athletics Federation’s (IAAF) under 20s division. It’s a ranking he’s hoping to improve on at the upcoming Bauhaus Junioren Gala in Germany. Hosted by the German Athletics Association, Hogan made the Australian team after breaking the 66.50m qualification standard a number of times over the past season. His personal best came at the Perth Track Classic in March this year. ‘I was stoked to be picked for the Germany under 20 championships,’ he said. ‘I qualified for (IAAF) World Juniors last year in Barcelona but narrowly missed out on making the team. Hogan faces financial barriers to make the trip to Germany, as fulltime training crossed with fulltime study at UWA makes it difficult to find a flexible job. He hoped to attract new sponsors as his appearance on the world stage draws closer.